If you are living in the Milton area and you are looking for top motorbikes around Milton, then you should come into Budds’ Motorrad in Oakville and check out or exceptional stock of supreme motorcycles. Proudly servicing residents in the Milton area, if you have been looking for top motorbikes around Milton, look no more. Budds’ Motorrad is home to some of the world’s most popular styles of motorbike, and we have got something for every type of rider. Whether you ride a tour bike, heritage bike, roadster bike, sport bike, or adventure bike, Budds’ Motorrad has got them all. Along with housing a large selection of premium quality motorcycles, Budds’ Motorrad can also offer our clients premium quality customer service. It is our goal to pair you up with a motorcycle that suits your needs and your budget, and we take great pride in that. When you choose Budds’ Motorrad for your top motorbikes in the Milton area, you will be met with the highest quality customer service from the moment you step foot into the dealership. With Budds’ Motorrad being a very popular destination for people to purchase premium quality motorcycles, we have experienced a heightened interest in a motorcycle that has become one of Budds’ Motorrad’s top motorbikes in the Milton area, the R1200 GS. 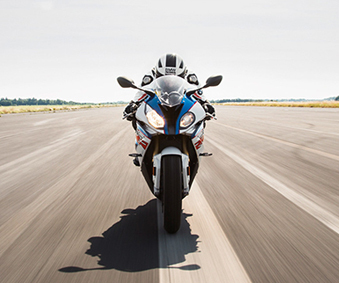 The R1200 GS is the founder of the dual-sport bike category, and it continues to lead that pack to this day. With its ability to conquer all terrains like roads, cross-country, urban, and countryside, while providing the rider with ample comfort and optimal performance, is why the R1200 GS has become one of Budds’ Motorrad Oakville’s top motorbikes in the Milton area. The engine in the R1200 GS is a twin-cylinder boxer engine with 125 HP. It is very efficient and has very high torque that you can rely on for riding pleasure in any situation. The R1200 GS has a firm main frame with the engine supporting element, which allows for a low center of gravity creating great lane stability. The suspension system in the R1200 GS is unlike any other and can be activated by a touch of a button. The paralever and telelever suspension elements enable a perfectly tuned damping performance on any terrain. There are also many options for personalization with the R1200 GS. This top motorbike in the Milton area is highly diverse with its elegant tank trims, front wheel spray protection, GC moldings, and new frame and body colours. There is an excessive range of accessories available for the R1200 GS as well like Keyless Ride, useful off-road accessories, and luggage systems. If you are living in the Milton area and you are looking for top motorbikes for Milton residents, then we recommend that you come into Budds’ Motorrad in Oakville and check out the R1200 GS. If you would like to know more information about Budds’ Motorrad and the R1200 GS, please feel free to continue browsing through our website, or you can contact us via phone or email.